GALION — The Northmor Lady Golden Knights basketball squad will head to the hardwood this season with new leadership and in a new conference. Freddie Beachy is entering his first season at the healm for the Lady Knights, replacing Daryl Uhde for Northmor’s first winter season in the new Knox-Morrow Athletic Conference. He will be joined by varsity assistant Matt Wiseman and new junior varsity coach Bryce Lehman. Last season, the Lady Knights finished with a 13-10 overall record and went 10-4 in the Mid-Ohio Athletic Conference Blue Division, good for a second place finish behind Cardington (19-6, 13-1). In 2017-2018, Northmor will have to find their identity on the floor after the loss of three main components from last season’s success. MOAC Blue first-teamer Maddi Swihart, along with Karalee Patterson (second-team, all-conference) and Lindsey Wiseman all walked the stage last spring to receive their diplomas. Swihart led the team in scoring at 14.4 points per game and Wiseman was described by Beachy as the “do everything player”. Northmor will look to its seniors, Cristianna Boggs, Brooke Bennett and Becca Duckworth, for much needed leadership and guidance as they begin the “Beachy-era”. Also returning for the Golden Knights are sophomores Macy Miracle, Julianna Ditullio and Leslie Brubaker, as well as junior Addie Farley. “We hope to be at the top of the conference with Cardington and Danville and get better game after game,” states Beachy in an email. “We have experience at the point guard and forward positions and are athletic, but need to replace 90% of last year’s scoring due to graduation,” the new head coach concludes. 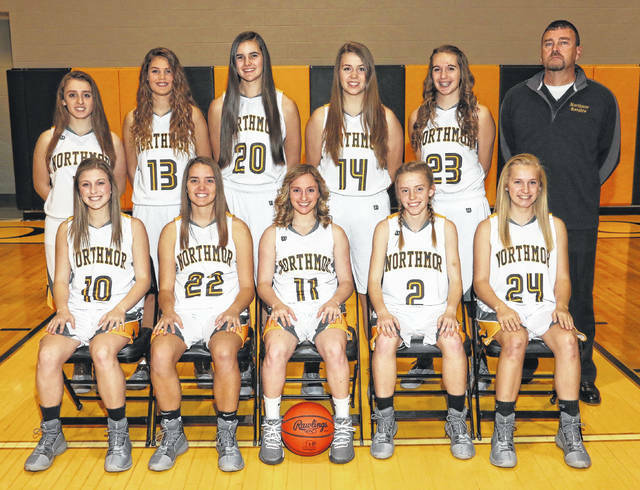 Regular season action for the Northmor Lady Golden Knights is set to begin on Friday, November 24 with a trip to Colonel Crawford to clash with the Lady Eagles. KMAC play opens up on Wednesday, November 29 when the Knights host the visiting Fredericktown Lady Freddies.